Located just eight miles from Smith Rock State Park, Skull Hollow Campground (aka The Grasslands) is popular with climbers and explorers. Don’t be put off by the name, there are 28 generously sized campsites for $10 a night and you can stay up to 14 days, but they’re all first come, first served. There are two pit toilets but no water, and the campground can be really dusty. The campground is open seasonally, which usually means about May-November, varying based on weather conditions. 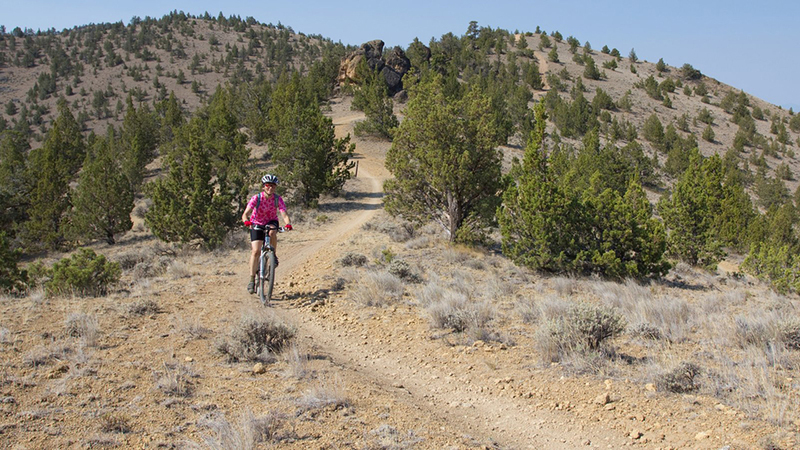 The area is dog friendly and attracts a lot of bikers who plan to ride nearby Gray Butte. Each site has its own fire ring and picnic table. You can have campfires but with only a few desert trees around, plan to bring your own wood. You know, pack some lumber. This area is popular with RVs, with a wide variety of space sizes and layouts, and is described by many reviewers as peaceful.